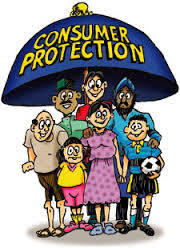 MODERATION & MINORITY RIGHTS – ARE WE PRACTICING WHAT WE PREACH ASKS MALAYSIA ASEAN/APEC LEAD CONSUMERIST? 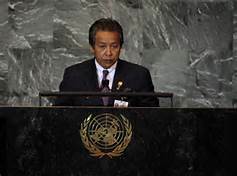 Foreign Minister, Anifah Aman is reported to have stated at the 72nd Session of the UN General Assembly (UNGA) in New York that Malaysia seeks to bring forth the Global Movement of Moderates (GMM) initiative to the United Nations (UN) through a Resolution to negate the propagation of extremism and radicalization. And among its core objectives is, to douse the flames of hatred and stem the influence of extreme and myopic ideas of intolerance, xenophobia and racial hatred. That it was imperative for communities of different race, religion, and culture to band together in seeking common peaceful aspirations and celebrate our diversity rather than be influenced, and enticed into extremist traps. I just cannot disagree with any of those aspirations, which are all lauded! And knowing Anifah the way I do, he is being very honest and committed to this agenda, without any notions of hypocrisy! But my difficulty has always being the contention that all nations should not just work towards moderation, preserving dignity, human rights of races and their religious persuasions, at the global stage but these need to be entrenched and grounded in as a key and core nation building pillar domestically, which gives one credibility to claim to be prophets of moderation! 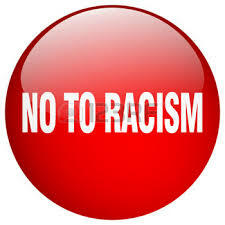 But can we today honestly do so, with the current chaotic narrative that is going on in Malaysia with all kinds of religious extremists, fanatics, racial vigilantes and bigots undermining the tenets of race and religious life in multi-racial Malaysia? 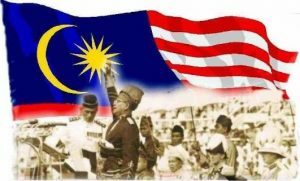 Inexplicably, I understand during the same time frame Anifah was not the only Malaysian politician who was throwing out noble and civilized beatitudes at the world stage! At the 11th Asean Ministerial Meeting on Transnational Crime and the second Asean Ministerial Meeting on the Rise of Radicalisation and Violent Extremism, Deputy Prime Minister and Home Minister, Ahmad Zahid Hamidi seem to have gone on a “self-righteous joy ride” in wanting to advice the Myanmar government while taking pot shots at their Nobel Peace laureate. We have taken offence also with the ASEAN chairperson’s statement on the humanitarian situation in Rakhine State, in Myanmar but, are we forgetting that ASEAN works on consensus? 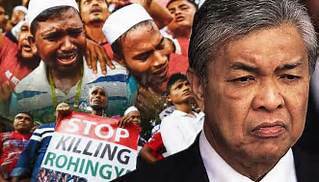 I wonder what would have been the official replies by both Anifah and Zahid, if foreign head of states or other members of the diplomatic fraternity had asked them on the rise of radicalization and violent extremism, the confirmed involvement of Malaysians in areas of international conflict embedded with IS fighters be they in the middle east, Indonesia, Philippines or soon in Myanmar? More importantly, are we are a moderate country at this stage of time? In all humility I also wonder what our response and reply would be if we were asked what ever happened to Pastor Raymond Koh, following the professionally executed abduction of the 62-year-old pastor and charity worker in broad daylight on Feb 13. What about the intolerance displayed by religious bigots and vigilantes who are going around infringing the civil rights of non-Muslim Malaysians, which is now downright public, going viral at times, which is causing fear and alarm among peace loving Malaysians of all races and religious persuasions while those expected to serve and protect seem in a state of political and administrative comatose? This despite the supremacy of secular law in Malaysia as upheld in 1988 in the Supreme Court case of Che Omar bin Che Soh vs Public Prosecutor! Despite so, religious bigots, fanatics, extremist are continuing to impose dominance on non-Muslims or insist on their religious superiority when nothing like that is embedded in the Federal Constitution! Perhaps, as the saying goes, charity should start at home and we should stop self-righteously lecturing others, while, conveniently and in political expediency, closing both eyes to the deterioration of race and religious relationships and over grown polarization from cradle to grave which is a grave injustice to the nation’s founding fathers and the aspirations of Malaysia Prime Minister’s Najib Razak’s 1Malaysia policy? CASSA CHIEF ASKS – CHEAPER HEPATITIS C MEDICATION – FANTASY, FICTION OR FACT? CHEAPER HEPATITIS C MEDICATION – FANTASY, FICTION OR FACT? There seems to be a major debate going on in some circles over the recent announcement on cheaper Hepatitis C Medication. Seriously, what is the mitigation really offered? Most importantly, is what offered a realistic and silver bullet that is expected to save the life of over an alleged 500,000 patients in Malaysia because a cure was now within reach? 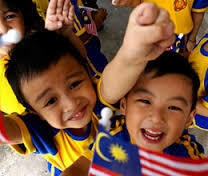 Only a gullible half past six – will expect that the Malaysian Ministry of Health will make the medicine available to patients within days or at most, a few weeks. As such let us re-look at these statements with greater diligence! We must remember that the treatment of Hepatitis C is often a combination of drugs and one of which is sofosbuvir. Hence is the MOH going to provide a single drug or a combination of drugs as recommended by various international guidelines and WHO? I also believe that the treatment depends on the Hepatitis C Virus Genotype and hence will this single drug that is being provided by MOH be appropriate to tackle the different genotypes? Let us then look at the whole question of administration and management! 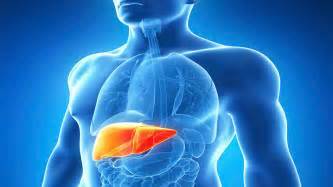 Is there liver specialist in all the 12 hospitals to appropriately manage and treat Hepatitis C? As far as I know, and is common knowledge, that there is a severe shortage of liver specialists in the country! So the pertinent question is who in these 12 hospitals will be treating Hepatitis C? Will it be some under trained and ill exposed Para medical support staff or the hospital assistants? Let us now look at another aspect! 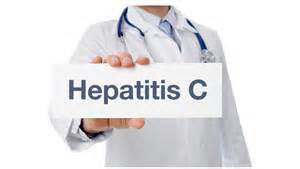 Do the laboratories in these hospitals have adequate resources to monitor the treatment of Hepatitis C? The plain truth is, it does not take a rocket scientist to invoke the Patent Act 1983 to produce a generic version of the drug, sofosbuvir. It is also easy to come out with media statements that MOH plans to make the drug available in twelve public hospitals by year end. But more importantly, will it actually happen or is this another press statement that will never be fulfilled? We the Malaysian citizens should all do this in view the kind of statements and promises made by our politicians and to hold them accountable! I remember there were over 124 statements made over time. Do you know how many were actually delivered? There were about a dozen. The only politician who made 12 promises and delivered all of them was Dr Chua Soi Lek, who I still consider the best Health Minister Malaysia has ever seen and had! For the record, I will continue this my media statements vigil of monitoring the statement on “affordable versions of Hepatitis C medication” to see if indeed it materializes or it is just another statement thrown to the media on a dry day and to give perceptions? Most importantly, let us not make promises we cannot keep or deliver! And let us not get beyond ourselves by making statements that will never be delivered! And why do I state this? That services have been seriously impacted! That the availability of essential drugs challenged. That the quality and professional services professed, exhibited and ultimately delivered, seriously embarrassing! This sad situation and narrative, more so when highly qualified and well respected medical professionals are leaving the hospitals in droves for lack of career development prospects and lack of recognition while others, of a certain race, religion and stock get rehired almost as soon as they retire? Even the Deputy Prime Minister and Home Minister, Zahid Hamidi alluded to this recently, followed by Deputy Health Minister Hilmi Yahaya! I always wondered why the country seems to be financially tight when it comes to hiring such professionals but there seem to be no such deficiency of funds when appointing politicians and retired civil servants to various fanciful positions, including special envoys! And when qualified and experienced public interest practitioners and advocates point these out in the public interest, vigilantes and cyber troopers attack us. 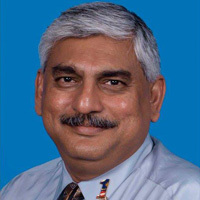 MALAYSIA ASEAN/APEC LEAD CONSUMERIST DR JACOB GEORGE SAYS PM NAJIB’S STAND ON SAFETY OF TAHFIZ RELIGIOUS SCHOOLS LAUDED! The order and instruction has gone out! 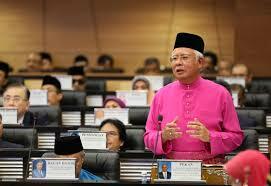 It comes from Malaysia’s Prime Minister Najib Tun Abdul Razak himself! The instructions to the relevant authorities in the country also clear! 1. Inspect the safety standard at all tahfiz religious schools in the country. 2. Schools found to be not abiding by the safety standard would be given time to implement the measures! 3. And failure to do so would result in their being ordered to close down. And why was this instruction given out? The premier could not comprehend what drove teenage boys to plan such an heinous crime which resulted in the deaths of 21 innocent students and two teachers. It was so obvious to me listening in to him that he was truly heartbroken by the manner he spoke to the media! 1. A question of the safety of our children and we cannot compromise on the matter! 2. It involves the lives of our children and it is our responsibility. 3. It is not a question of the authority of the federal government or the state governments. 4. It is a question of safety, welfare and, more so, the lives of our children! I thank both Prime Minister Najib, first lady Rosmah Mansor for the address and support to address this tragedy fast track! Now since the instruction given – I pray the relevant agencies will fast track this matter before another disaster of horror! I for one and CASSA will be monitoring and holding a brief on this matter certainly! 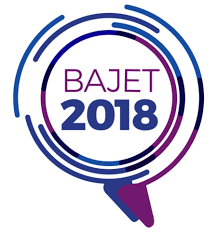 HARAPAN SAYA UNTUK BAJET 2018 – PRESIDEN CASSA! 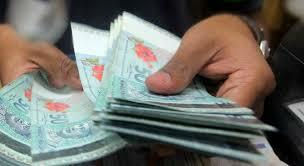 Kerajaan dicadang supaya menurunkan kadar Cukai Barangan dan Perkhidmatan (GST) yang dikenakan sebanyak 6.0 peratus sekarang kepada 3.0 peratus pada Bajet 2017. 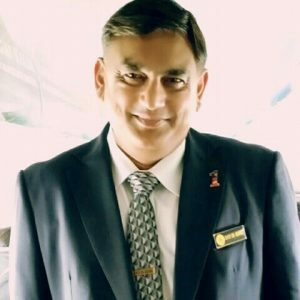 Presiden Persatuan Pengguna Subang dan Shah Alam, Selangor (CASSA),Datuk Dr. Jacob George berkata, walaupun ia sukar dilakukan oleh kerajaan tetapi cadangan itu wajar dipertimbangkan dengan mengambil kira lonjakan kos hidup, peningkatan pengangguran dan penurunan perbelanjaan. Jacob berkata, kenaikan kos hidup yang melambung sekarang dirasai oleh semua peringkat masyarakat dan pekerja, baik yang berpendapatan rendah, juga sederhana. “Sama ada kerajaan sedar atau tidak, pasar-pasar raya, pusat beli-belah dan pasar malam semakin lenggang. Pengguna susah lagi untuk berbelanja kerana ikat perut. “Ada ketua-ketua keluarga yang melakukan tiga pekerjaan untuk mengisi perut anak-anak, memastikan perbelanjaan rumah dan persekolahan tidak putus. “Lantaran itu, saya cadangkan kerajaan kurangkan kadar GST kepada 3.0 peratus agar pengguna boleh ‘bernafas’,” katanya. 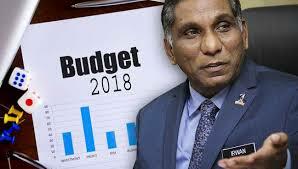 Tambahnya, semua pihak akui pelaksanaan GST memberi kesan ketara dalam kehidupan rakyat kerana harga barang makanan, khususnya naik, walaupun ia diperjelaskan oleh kerajaan. Beliau berkata, masalah ini berlaku agensi-agensi penguatkuasaan kerajaan tidak melakukan pemantauan seperti ketika mula-mula GST dikuatkuasakan. 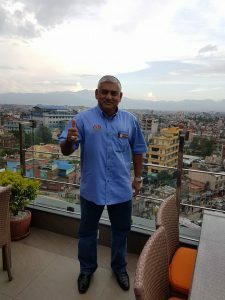 “Jika pemantauan dibuat tidaklah harga barangan yang sama di kedai A tidak sama di kedai B, C dan D.
George juga meminta Perdana Menteri mempertimbangkan untuk mengenakan sekatan kemasukan pekerja-pekerja asing di negara ini kerana kehadiran mereka telah menjejaskan mata pencarian penduduk tempatan. Jelas beliau, penduduk tempatan sekarang sukar mendapat kerja kerana terpaksa bersaing walaupun dalam sektor-sektor yang tidak sepatutnya. “Kalau di pasar raya siapa juruwang kalau bukan pekerja asing. Sehinggakan warga Indonesia boleh membuka kedai di Chow Kit dan di Brickfield pula dipenuhi dengan warga Bangladesh. 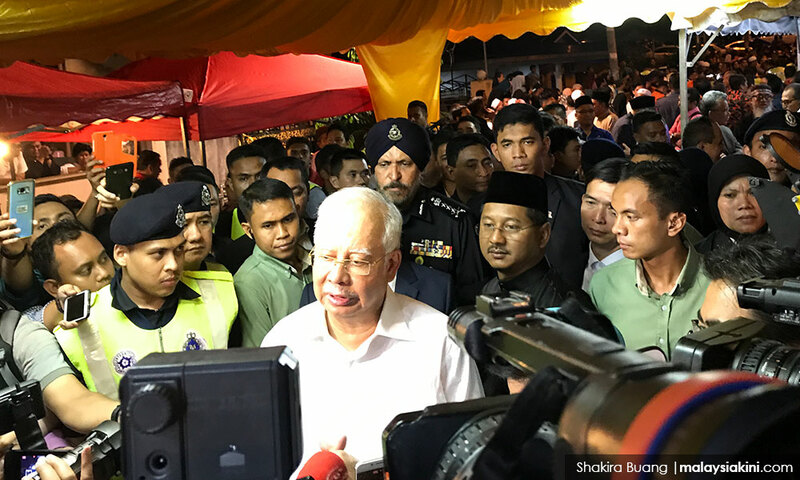 “Hinggakan di kedai-kedai runcit pun muka pendatang asing,” katanya yang tidak bersetuju dengan pandangan kerajaan bahawa rakyat Malaysia tidak mahu bekerja dalam sektor pekerjaan 3D ‘kotor, bahaya dan sukar’. “Jika gaji yang dibayar setimpal siapa yang tidak mahu kerja dan sepatutnya kerajaan telus dengan mendedahkan sektor-sektor terlibat,” jelasnya. Kata beliau, pengurangan penggantungan kerja terhadap buruh asing perlu ditangani segera kerana ia tidak selari dengan hasrat Malaysia untuk menjadi sebuah negara berpendapatan tinggi. MALAYSIA ASEAN/APEC LEAD CONSUMERIST SAYS TRUTH IS DEAD – WE ARE NOW DROWNED OUT BY HALF TRUTHS, LIES AND FAKE NEWS! Recently, Jane Pauley asked Hillary Clinton a simple question during a sit-down on CBS’ “Sunday Morning”: Were there mistakes she made that led to her loss in the 2016 presidential race? “I think the — the most important of the mistakes I made was using personal email,” she acknowledged. “I’ve said it before, I’ll say it again, that was my responsibility. It was presented in such a really negative way, and I never could get out from under it. Those who brought me up from the late 50’s in Sungei Petani, Kedah were very good and honest people! They instilled in me from a young age that always say the truth! 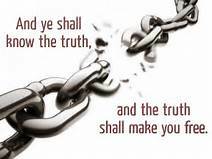 It is always better to tell the truth and shame the devil! This same concept holds true in journalism today and writers in online media! Of course, the ‘devil’ these days perhaps, that person (s) who can by seconds make certain you will never have any financial, position, honorific or other worries – period and all that you need to do is compromise, spin, create a doubt, write an alternate narrative and at best get so many versions out there that the truth gets lost in the process? But for me at the twilight of this journey we call life, I believe that in order for a journalist and anyone else that includes me as opinion shapers, and I am that, having done so for the last 40 years of my life as Malaysia, ASEAN/APEC Lead Consumerist to gain respect, credibility and trust from their audience, we must report the truth. Certainly, there are ethical guidelines in place for journalists to follow to enable them to gain trust and respect from their audiences. Like all professionals be they doctors, lawyers, engineers, journalists have their set of codes of ethics to follow. And providing true information to the public is on the top of each of these lists. These codes of ethics are a platform for journalists to go off of. In order to be an ethical journalist, you must always focus on telling the truth. But why Tell the Truth? It is important for journalists to tell the truth because the public depends on them. The public depends on journalist’s every day for information to update and enlighten them on what is going on in society, good, bad and ugly so that they can make informed decisions! If the public cannot trust journalists to give them true news information, then who can they trust? It is the duty of journalists to take the time to gather true information before they report on a story. Once journalists start reporting on things that are not true, their credibility is lost. But the truth these days where journalists can be bought as can their top editors and even media companies are beholden to political patronage/ownership anything is possible! But that never gets off from the ethical principle these days lost that the duty of the journalist is to further those ends by seeking truth and providing a fair and comprehensive account of events and issues. Conscientious journalists from all media and specialties strive to serve the public with thoroughness and honesty. Professional integrity is the cornerstone of a journalist’s credibility. 1. Test the accuracy of information from all sources and exercise care to avoid inadvertent error. 2. Deliberate distortion is never permissible. 3. Diligently seek out subjects of news stories to give them the opportunity to respond to allegations of wrongdoing. 4. Identify sources whenever feasible. The readers/public is entitled to as much information as possible on sources’ reliability. 5. Always question sources’ motives before promising anonymity. Clarify conditions attached to any promise made in exchange for information. Keep promises. 6. Make certain that headlines, news teases and promotional material, photos, video, audio, graphics, sound bites and quotations do not misrepresent. They should not oversimplify or highlight incidents out of context. 7. Never distort the content of news photos or video. Image enhancement for technical clarity is always permissible. Label montages and photo illustrations. 8. Avoid misleading re-enactments or staged news events. If re-enactment is necessary to tell a story, label it. 11. Tell the story of the diversity and magnitude of the human experience boldly, even when it is unpopular to do so. 12. Examine their own cultural/religious values and avoid imposing those values on others. 13. 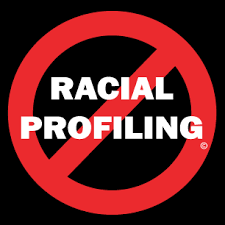 Avoid stereotyping by race, gender, age, religion, ethnicity, geography, sexual orientation, disability, physical appearance or social status. 14. Support the open exchange of views, even views they find repugnant. 15. Give voice to the voiceless; official and unofficial sources of information can be equally valid. 16. Distinguish between advocacy and news reporting. Analysis and commentary should be labeled and not misrepresent fact or context. 17. Distinguish news from advertising and shun hybrids that blur the lines between the two. 18. Recognize a special obligation to ensure that the public’s business is conducted in the open and with accountability, transparency and with good governance as cornerstones! Is it possible in 2017? 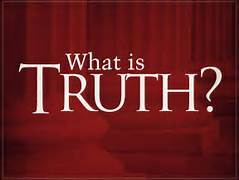 The truth – I do not think so because truth has been sacrificed on the altars of deep pockets, greed, and personal and private interests and profits!